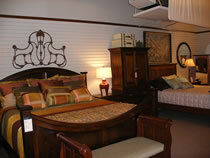 Looking for the wood furniture Columbus, Ohio has to offer shouldn’t mean settling for just any furniture. That’s why shoppers choose Amish Originals Furniture Co. time and time again. Since 1992 we’ve been working with more than 70 Amish families around Northeast Ohio to offer the best quality wood furniture you could ever find. Best in selection –No matter what your taste in home furnishing and décor may be, you are bound to find something you love here. Whether you need a single accent table or an entire home filled with furniture, we have what you need at Amish Originals Furniture Co.
Best in quality — There simply isn’t any better quality available for wood furniture, or any furniture for that matter, aside from Amish pieces. It starts with the best in American hardwoods that are kiln-dried and includes all of the handiwork that goes into creating the pieces. Sawing, sanding and dovetailing by hand are all part of what makes these pieces of furniture stand out from the rest. Best in service — From anyone you meet in our showroom, speak to on the phone or work with in any capacity here at Amish Originals Furniture Co. you can expect nothing but the best. We build working relationships with many of our customers that last for years to come and that can only happen if it is first rooted in superior customer service. Best in pricing — Even though you are getting the best quality of wood furniture at Amish Originals Furniture Co., it doesn’t mean you have to take out a second mortgage to furnish your home. You can still find the best in pricing, comparable with outlet furniture pricing and competitive to what else the area has to offer. 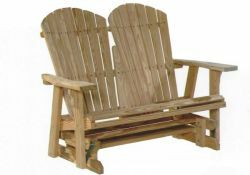 Taking steps to be more “green.” Even though the Amish furniture building process is green compared to others, we still strive to find more ways to be environmentally friendly. We work with different organizations to be part of the local business community such as the Westerville Area Chamber of Commerce, Westerville Visitors and Convention Bureau and the Better Business Bureau of Central Ohio. We also work with the local community by supporting local schools, being part of the Uptown Westerville Farmers’ Market and participating in the Westerville Area Resource Ministry.